If your company has just been sued, it’s natural to feel angry. However, letting your emotions take control of your actions can make it difficult to do what’s necessary to prepare for the lawsuit. With fairly short deadlines for filing a response to the complaint, it’s important to get a trial lawyer involved as soon as you receive a complaint, adds Fuhrer. Smart Business spoke with Fuhrer about how to prepare for a lawsuit. What are the steps companies should take after being served with a lawsuit? The first step is to get a competent trial attorney involved. Some companies have some sense that a lawsuit is imminent. In those instances, you should get your trial lawyer involved when you have some reason to believe that a lawsuit may occur. Nothing needs to happen overnight, but you don’t have a lot of time before something needs to happen. If the company has never been sued before and doesn’t have a regular trial attorney, they should look for lawyers that are experienced in handling similar cases. Experience in handling similar cases in the court in which the case is pending is important, as well, because there can be some differences between state and federal court. Who else needs to get involved? It’s important to keep discussions of the lawsuit to a minimum until counsel is engaged. This is especially true with people outside the company, but also with people inside the company who don’t need to be involved. This is important because those discussions may be discoverable by the opposing party. So a company can create additional and unintentional witnesses by discussing the case with people who were not involved in the underlying facts in the first place. What mistakes do companies often make? Many companies underestimate the importance of preserving documents. Document collection and preservation issues are really important to pay attention to at the outset of a lawsuit. The civil rules place an obligation on parties to preserve evidence that might arguably be relevant to the lawsuit. That duty can arise even before the lawsuit is filed. If you have a reason to know that future litigation is likely, and if the documents are likely to be relevant to that future litigation, the duty to preserve them can arise even before the lawsuit is filed. Certainly once a lawsuit is filed you have notice of it. How can you determine which documents could be construed as evidence? Today, more than ever, the evidence that is relevant to a lawsuit is in the form of e-mails and other electronic documents. Sometimes companies have systems set up for automatic destruction of electronic data. When you have notice of a lawsuit, make sure there is a hold placed on the destruction of any documents that might arguably be relevant. Err on the side of being over-inclusive. That often means involving the IT department to make sure potentially relevant e-mails are captured or that any mechanisms for the destruction of that data are disabled until they can be collected and preserved. What type of legal consequences exist if information gets destroyed? There is a range of potential sanctions that a court can impose for the destruction of relevant evidence. One severe sanction that can be imposed is what’s called an adverse inference. That is where the opposing party can gain an instruction to a jury to infer that the destroyed documents contained information that was harmful to the case of the party that destroyed them. That’s never a situation you want to be in. Those documents may have been helpful to the case. In any event it always looks bad. It doesn’t put you in a favorable light with the court, and even if the destruction is not intentional, it never looks good. Another important step to take is to consider whether there is insurance coverage for the claims made. Breach of contract claims are often not covered by insurance, but negligence claims often are. Many employers have employment practices liability insurance, which covers liability that arises from employment practices, and companies that don’t get sued often can forget they have it. Most policies require prompt notice of claims or potential claims. So it is important to identify whether there is any possibility of coverage and to notify the carrier as promptly as possible. That duty to notify often arises when a company is first put on notice of a potential claim. At that point, companies should think about whether they have potential insurance coverage and notify their carriers. If the case is high profile, the company might want to involve its public relations team. When that happens, it’s important to make sure there is coordination between your legal counsel and your public relations team, so that any messages conveyed publicly are consistent with the legal positions. It wouldn’t be unusual for lawyers and public relations professionals to have differing objectives and orientations. That’s why it’s particularly important to get them in the same room. 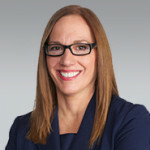 The corporate defendant could be bound in litigation by public statements made by the company, which could be considered admissions of the company in the litigation. If the PR team’s work is detrimental to the legal defense, that would be an unfortunate consequence of not coordinating those efforts.